I just came back from a long weekend up in Big Bear, Calif. with my family– we had a blast playing in the snow, staying in a cabin, and I tried skiing for the first time! Of course I had to look somewhat stylish while out in the snow and paired a pair of classic jeans with a mix of prints– stripes and plaid. 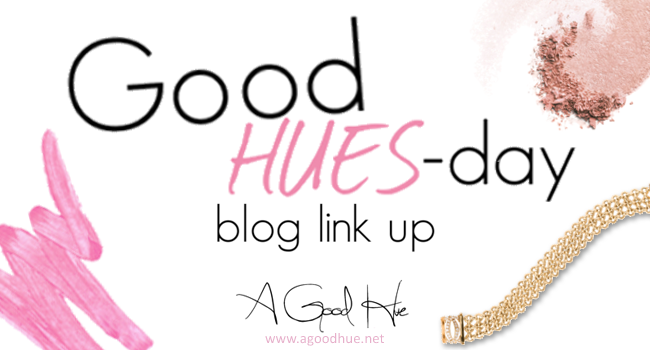 Click ‘read more’ for more images, plus this week’s Good HUES-Day linkup! 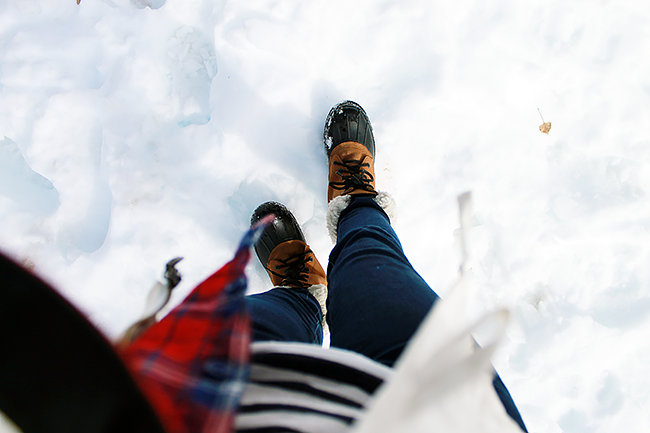 Funny story of the snow boots– the pair I’m wearing here are my aunts. I had actually brought a different pair for the weekend (outfit coming soon!) but they fit me a tad loose so I traded with my aunt whose boots fit her too tight… and hers are labeled a size bigger but she fit better in mine. Weird, right? I’m happy with the trade, this pair is super cute!